Not every dental emergency is the same, and you may not react to every one as though it were an emergency. However, the one thing they all have in common is a need for immediate attention. Whether your tooth starts to hurt or you experience accidental trauma to one or more of them, waiting to seek treatment will only give the problem more time to progress. Depending on the specific nature of the emergency, this could lead to increasingly more severe complications with your teeth and/or oral structures. 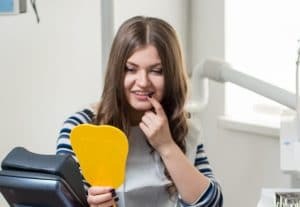 Today, we take a brief look at a few of the common dental emergencies, and why seeking treatment as soon as possible is the best thing you can do for your smile. Your teeth can hurt for a number of reasons, but none of them are harmless. For example, a general sense of tooth sensitivity can indicate a weakening of your tooth enamel, which could pave the way for one or more cavities to develop. It can also leave your teeth weaker and more vulnerable to structural damage, like excessive wear, a fracture, or a break. During your emergency visit, we’ll carefully examine your oral health and diagnose the cause of your toothache or sensitivity. Then, we can prescribe an appropriate treatment to address it, such as strengthening your tooth enamel or addressing a cavity that has already begun to develop. Accidental trauma often results in a fractured or broken tooth, and the damage usually results in at least some level of discomfort. However, if the pain isn’t severe, then you might not take the damage as seriously. Hesitating to treat a damaged tooth will allow time for the damage to grow worse. If the fracture or break is already severe, then waiting even a little may cause you to lose the chance to save it, or allow for an infection to developing within the tooth’s pulp chamber. Capping the tooth with a dental crown as soon as possible may save the tooth, though root canal treatment may be necessary first to remove any harmful bacteria or infected tooth structure. If your tooth is knocked out and can’t be saved, then there may seem to be no need for immediate treatment. However, just because a tooth is lost does not mean that the threat is over. As soon as the tooth is lost, the balance in your bite changes, and your remaining teeth will have to take up the slack. They may shift toward the open space in their ranks, leaving you vulnerable to several other oral health concerns (such as malocclusion). Replacing the tooth as soon as possible, preferably with a dental implant, will be essential to reducing your risks of further issues. A dental emergency can mean a variety of things, but if you ignore it, it will usually mean increasingly worse discomfort and problems for your oral health. If you experience a dental emergency, then schedule a visit as soon as possible by calling Syosset Dental in Syosset, NY today at 516-433-2211 or 516-921-6930.